Jazz can be and mean a great many different things - spiritual, intellectual, political, relaxing, painful... you name it. Its also potentially full of suspense, tension, action and horror which is why jazz has been used to a great extent in film noir, thrillers, crime, giallo, cop-movies to name a few genres. I don't know why film-makers abandoned the perfect soundpalette to go along with moving images in favour of pompous orchestral scores and seemingly random pop-songs, but I know that they shouldn't have. 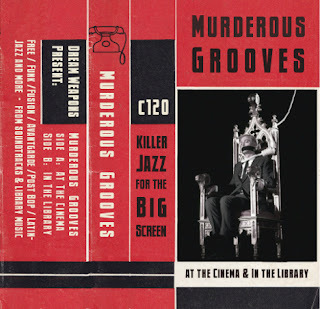 There's much greatness hidden in mostly obscure soundtracks and even more obscure production/library records - and from countless hours of excellence I've compiled 2x60 minutes of tunes in all kinds of moods, approaches and genres really, but still pretty much jazz in one way or another.